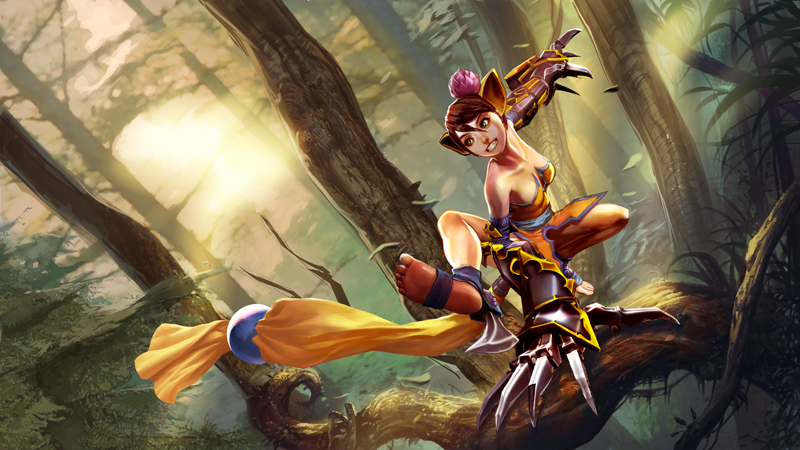 Koshka gains bonus move speed, armor & shield whenever she hits enemy heroes with an ability. -AfterShock- FIRST ITEM to rush with Koshka. That's her bread and butter. THIS IS THE COUNTER-BUILD ITEM of Crucible! Interesting items to build because of the +35 Crystal Power combinates to CD (+25% Cooldown Acceleration) and E.recharge (+2.4) to spam your ability. It is important to wait for Aftershock to reload by checking the icon down and left of the screen before triggering a new abilitie. REMEMBER: every auto-attack helps you get faster your abilities. -SALVO- you will upgrade this into Tornado Trigger. You need DPS to recharge your abilitie! Now you need some DEFENSE : Reflex Block ! that you will upgrade into Crucible or Aegis. -Crucible- If ennemies carry is RED and you need more HEALTH. This is a very good item for your teammates and yourself too because you can reflex block for the whole team, and also it give you +700 HP. -TRIGGER- You need DPS to recharge your abilitie! -SERPENT MASK- +90 Weapon Power and +20% Weapon LIFESTEAL ! An early Book of Eulogies will help sustain on lane with his passive lifesteal : transforms every minions into heal minions ;) "Passive: Restores 70 health whenever you kill an enemy (you are a melee hero)." Serpent Mask's Passive is Barbed Needle's one: "Restores 100 health whenever you kill an enemy (melee)"
-EVE- Last item of Lifesteal to get, upgrade your Energy Battery! -CRYSTAL INFUSION- Consume: Temporarily gain 6 crystal power per level, 35% cooldown acceleration, 30 armor & 30 shield. Lasts 3 minutes. -WEAPON INFUSION- Consume: Temporarily gain 6 weapon power per level, 25% attack speed, 30 armor & 30 shield. Lasts 3 minutes. Thanks to SEMC for featuring this in the VG news, that's totally unexpected !! keep up the good work, you guys are amazing !